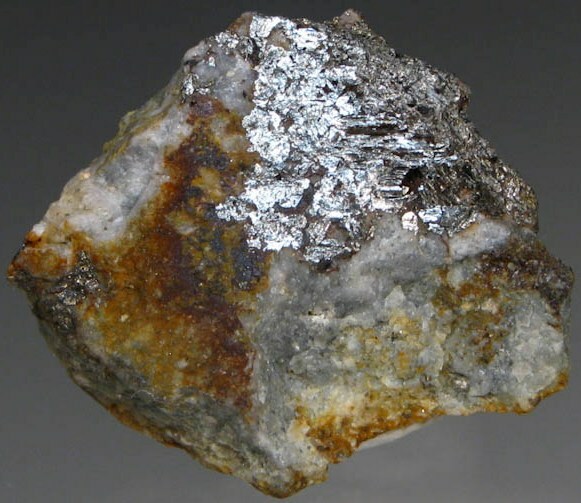 Tellurium is a semimetallic, crystalline, silver-white element. It exhibits metallic luster in pure form. It is brittle, so it can easily pulverized. A It forms many compounds corresponding to those of selenium and sulfur. Amorphous tellurium is found by precipitating tellurium from a solution of telluric or tellurous acid (H2TeO3). Tellurium is a p-type semiconductor, and its conductivity increases slightly with exposure to light. Tellurium is uneffected by water or hydrochloric acid, but dissolves in nitric acid. The first step usually involves an oxidation in the presence of sodium carbonate (soda ash). 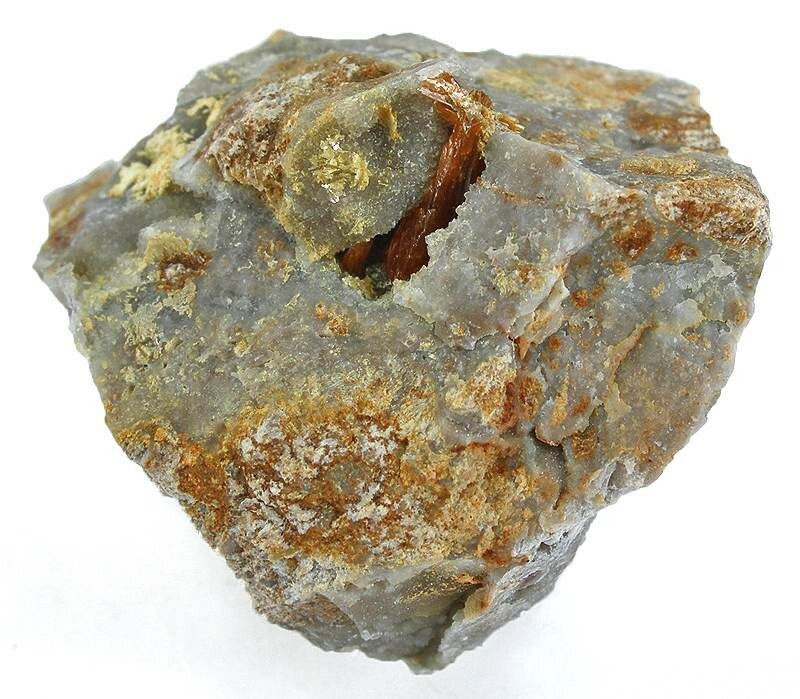 The Tellurite (Na2TeO3) is separated by sulphuric acid (H2SO4) and tellurium precipitates out as the dioxide. Tellurium is liberated from the dioxide by dissolving in sodium hydroxide, NaOH, and electroytic reduction. 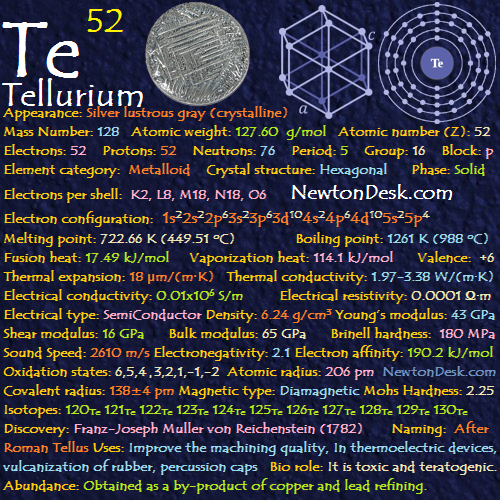 Tellurium is used in alloys, mostly with aluminium, tin, copper and stainless steel, to improve their machinability. It is added to lead to improve its strength and hardness and makes corrosive resistant to sulphuric acid on lead. 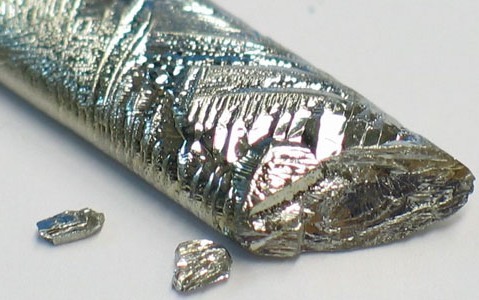 Tellurium has been used as a basic ingredient in blasting caps, to vulcanize rubber, to tint glass and ceramics, in solar cells, in rewritable CDs and DVDs,as a catalyst in oil refining, and is added to cast iron for chill control. 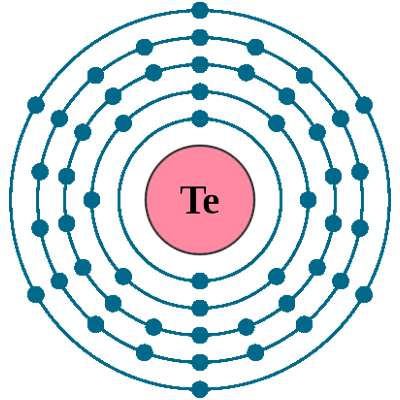 A Tellurium can be doped with gold, silver, copper or tin in semiconductor applications. 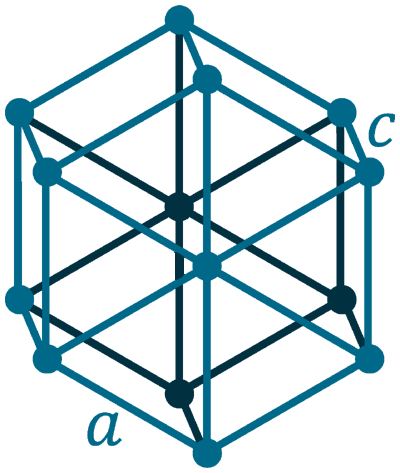 Bismuth telluride has been used in thermoelectric devices. Biological role: It is very toxic and teratogenic (it is an agent that can disturbs the development of an embryo or foetus). 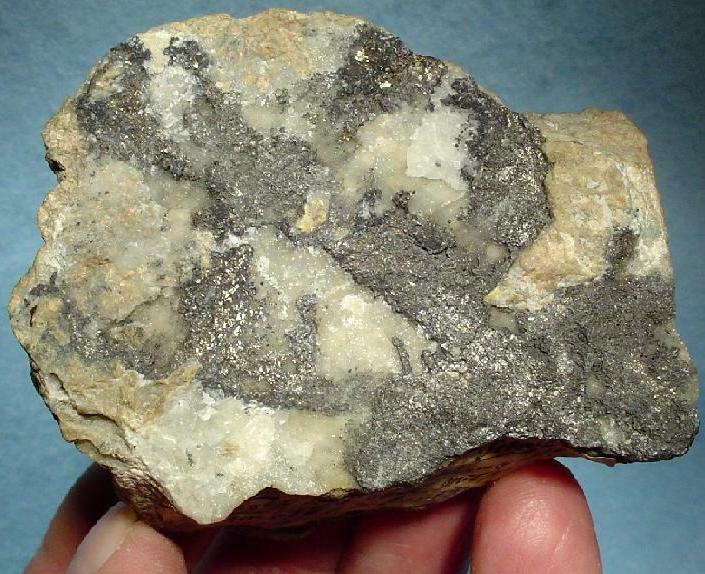 Tellurium is occasionally found in minerals calaverite, sylvanite and tellurite, but more often found in the telluride. It is obtained commercially from anode sludges produced during the electrolytic refining of blister copper. 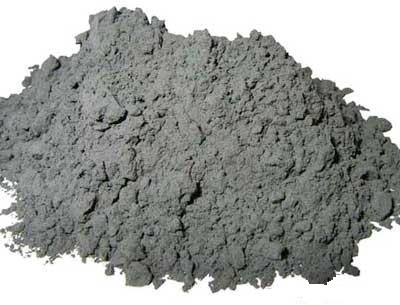 Obtain 1 Kg (2.2 Pounds) of tellurium by treatment of 1000 tons of copper ore. Annual world wide production is around 215 tons.